The Caterina Dress by Yeojin Bae is the ultimate classic silhouette, with a modern twist! Crafted out of luxe applique lace, it features a demure high neckline and feminine scallop hem falling at knee length for an elegant look! Partially lined with a built-in bra reveals a peek of skin. This dress is perfect to hire for a day at the Spring racing carnival or an upcoming Summer wedding! 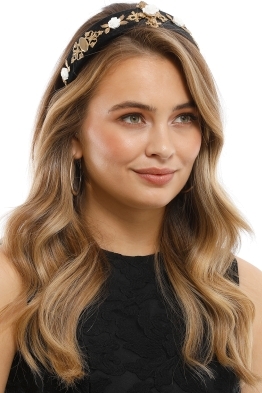 Complete this romantic and feminine number with loose waves, natural makeup and a poppy pink lip. 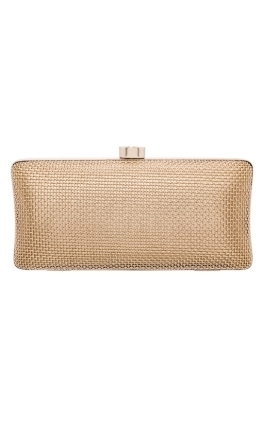 Rent the Nikita Woven Clutch by Olga Berg for the perfect finishing touch to this beautiful daytime look! 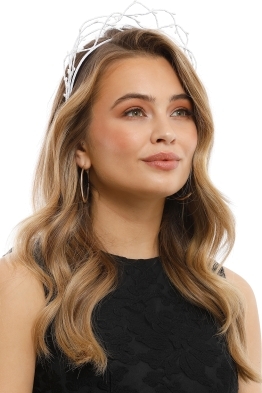 For more styling and beauty inspo, read our blog post, ‘10 Wedding Guest Hairstyles for Dress Necklines’ for everything you need to create a flawless look! South-Korean born, Australian designer Yeojin Bae’s namesake label explores femininity merged with striking architectural detail. Her designs are elegant yet bold, blurring the lines between classic and contemporary. Made in Australia, her designs feature beautiful laces, prints and contrasts that bring a modern edge. All dresses listed are in Australian sizes. Model is wearing size 8. Model is 174cm / 83cm-Bust / 65cm-Waist / 91cm-Hips. LENGTH: This dress is mini to knee length. Please note that the hem may sit longer on shorter women. UNDERGARMENTS: Consider shapewear to minimise lines as this dress is fitted. GREAT FOR: Petite, Hourglass, Narrow, Pear body types.